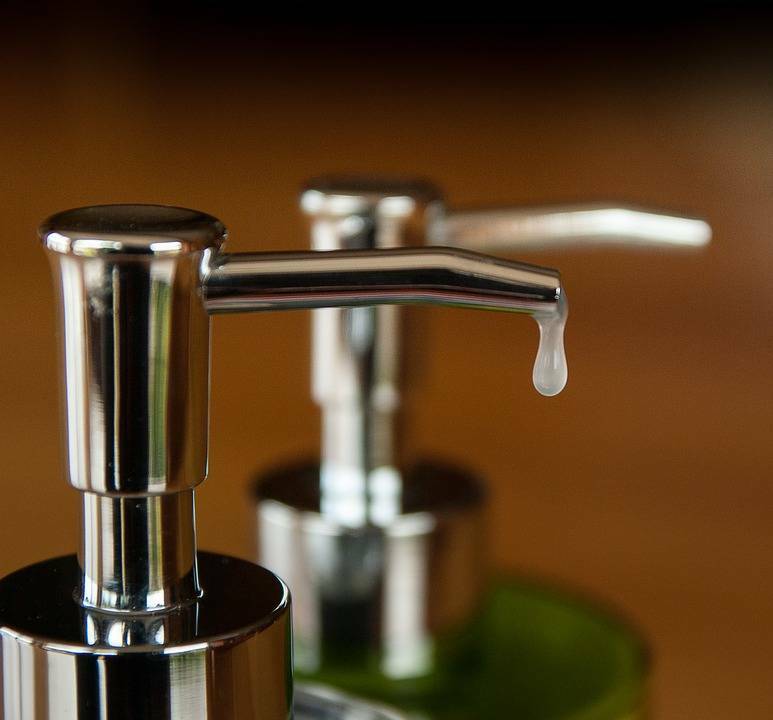 Liquid soap is an analogue of solid soap, which includes fewer harmful alkalis. Because of this it does not irritate skin and does not dry it as much as solid soap. Also, the advantages of this product include the fact that it does not dry and doesn’t turn mushy in case of contact with water. Hydrolytic interaction between esters of fatty acids and alkali is used to produce liquid soap. Sometimes this process is called saponification. Obtaining this product also requires fats with rosin additives, fatty and naphthenic acids, tall oil and additional ingredients to impart useful properties (softening, moisturizing, etc.). There are several ways of producing liquid soap. The first one is planing and melting solid soap. This approach requires the use of bulky and non-standard equipment, so it is used relatively infrequently. The second way is the so-called hot technology: heating of fats with their saponification with alkali. It is followed by cooling. The third way is the cold method that allows using a variety of mixers designed for other tasks. A standard set of equipment for the production of liquid soap is as follows: mixer, mill, molding machine, automatic stapming machine, and refrigerator. Mixing equipment has the dominant influence on the quality of the final product. Today there are many devices with similar functions available in the market. But most of them can not fully ensure that individual components of the product will not break down over the desired period of time. GlobeCore USB type plants are free from this deficiency. They are intended for mixing and dissolution of any liquids (two to five component parts). A special feature of this equipment is the use of injection method and hydrodynamic shock, which ensures that liquid soap will not break down for a long time. Modern hydrodynamic (inline) mixing plants have proven themselves in industrial use as cost-effective, accurate and sustainable means of production of high-quality liquid soap, shampoos and other beauty products with optimal cost. The achievable cost savings and increase of production profitability, compared to conventional technology of mixing components in mixing vessels, can accelerate the return on investment up to 60% per year and provide a return on the project during a period of one year or less.